Bryon was an established flatwork contractor for over 23 years. As he saw more need for concrete lifting in his area, he urged his son Kolby to look into the mudjacking opportunity. Kolby had just graduated with his bachelors in criminology but did not have full interest in pursuing a career with his newly earned degree. Bryon asked Kolby if he would join his company for flatwork but this did not interest him. He agreed when he saw the opportunity to diversify his dads business with concrete lifting; this is when they found HMI. After attending the 2-day training seminar in July 2014, They chose to invest in a polyurethane system and then began their concrete lifting venture. As the demand for concrete lifting soared, they decided to add another full time rig. 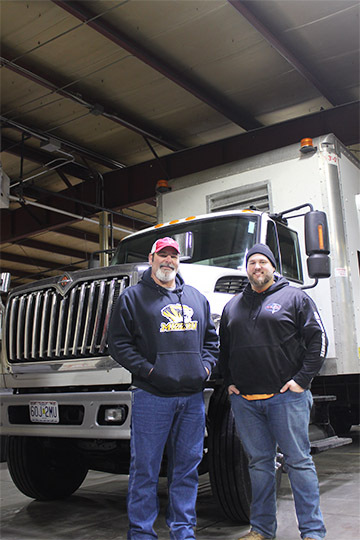 In 2016, the ROI on the concrete lifting division of his company convinced Bryon to sell his concrete business and solely concentrate on lifting concrete with his son. Today they own four full time polyurethane concrete lifting systems with big plans for the future. A big thank you to Bryon and Kolby for being apart of TeamHMI!